THE SPIRIT OF 99 VIEWING CLUB - A documentary crew following a small town beauty contest discover that some people will do anything it takes to win. DID EBERT LIKE IT? "It's the movie that somehow never achieves takeoff speed. Subtle miscalculations of production and performance are probably responsible; comedy is a fragile rose, eager to wilt." 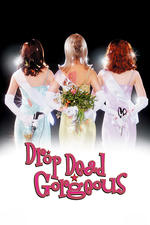 Things you didn't know about the cult black comdey Drop Dead Gorgeous. THE WORST An ending that peters out rather than concludes firmly but that's more on purpose than anything else. I have never not found that movie hilarious. Quite possibly the worst collection of faux-Minnesota accents ever put on film. I sat down and watched this last night. Yes, the Minnesota accents seem terrible (although admittedly my only exposure previously was in Fargo), and the humour is horribly, horribly inappropriate -- the vaguely pedophilic judge, the jokes at the expense of Harold's brother, the anorexic winner from the previous year. Now I know that Judge #3 is actually the writer, she is stiff and expressionless throughout but I guess that's how she decided to play it (I can't imagine how it would be to write your life experiences and then observe them as a character in that reenactment; stiff and expressionless is probably the safest way). For all of that, it's still hilarious for so many reasons. * Gladys's obsessiveness and the way she claims neutrality but gives Rebecca a stellar intro while Amber gets a perfunctory "Here's Amber", dropping the microphone before she even finishes saying her name. * Brittany Murphy's breathless snort-laughing character and how much she clearly adores her cross-dressing gay brother. * The pork ad starring a previous winner wearing a blood-soaked apron in front of a slaughterhouse. * Leslie's appearance in the background of every second scene making out with her boyfriend, and how tearfully happy she is to come second, no wait, third. And her destined-for-a-frat boyfriend. * Loretta, just Loretta. And Iris too: "I hate her." "We all do." * Harold's line, "You know the babysitter's dead."